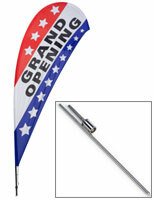 This OPEN message teardrop banner & stand is a great way to create high visibility outdoor advertising displays. The bold lettering is designed to let customers and passers-by know that a business is currently opened for business and operating. The high visibility advertising message teardrop banner & stand is made from durable polyester fabric that will withstand the elements when mounted outdoors. 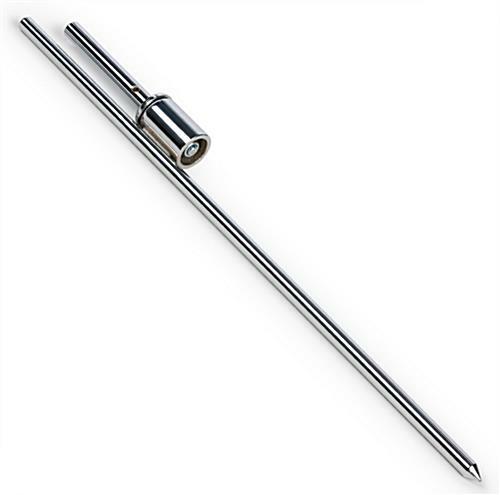 The sturdy aluminum base has a ground spike that provides excellent stability in soft ground, sand or even snow. 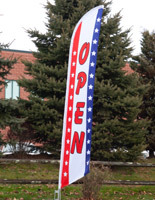 The patriotic color message teardrop banner & stand's red, white and blue color scheme features decorative stars that set off the bold black lettering. 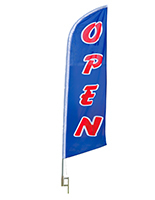 This type of outdoor advertising flag is a great choice for businesses that increase foot traffic or attract drive-by visitors to their operation.